It was about 1979. I saved and saved, and took my aging Twin Reverb to the local Music Store for a full set of new tubes and re-biasing. $180 (like $500 today) got me the hottest tubes of the era "Groove Tubes" baby! And when I got her home she sounded ... exactly the same. What?!?! 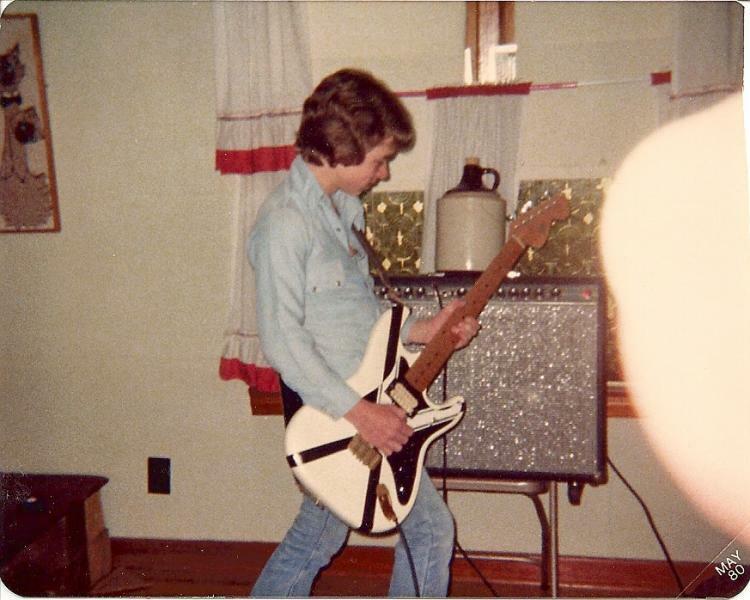 About this same time the other guitar player in the band, tired of me ALWAYS drowning him out, ALSO bought a Twin Reverb, exactly like mine, but with one overlooked VITAL difference. Mine had a pair of the famous Orange basket Fender/JBL D120F speakers, his had the stock (Utah I believe) speakers. His amp sounded like an anemic newborn calf and mine a thousand-pound BULL by comparison. Yep, I STILL drowned him out! So, even at this tender age I learned two key lessons, that I've watched play out hundreds of times since. Let's talk about that! This blog is basically the same as a couple I wrote many years back when we were just getting WGS up and running, but it's important enough that it easily warrants a thorough re-stating: There is flat-out no other upgrade or modification that can even come CLOSE to the difference a speaker change can make, Period. I could stop there, but well ... that just wouldn't be like me at all, so let's dig in. Go to the bathroom and get popcorn and drinks ready ... this will be an epic blog! I do in fact hold degrees in electronic and electrical engineering, as well as having taught audio engineering and acoustics for decades ... but I PROMISE I will not use that as an excuse to use big words or overly complex and/or complicated ideas. This will be straight-talk 100%. I won't get deep into techno babble, I'll just stick to the information you NEED, where the rubber meets the road. If you want to dive into the deep end of the pool and spend the next decade or two studying the curious behavior of electron movement, do it on your own time. We're here to get your tone mojo working, fast and simple, while simultaneously pointing out unnecessary rabbit trails that should be avoided. Why did my dramatic tube swap make no real difference? Was it a freak one-off? Nope, I've witnessed it replayed hundreds of times since. The truth is that, as long as the tubes are functioning within acceptable tolerance specifications, the amp doesn't care one bit how expensive or new your tubes are. The only way a tube-swap will ever re-voice an amp in any real audible way is if you actually use completely different tube types. Here I must caution you: I DO NOT RECOMMEND THIS ... at least not unless you are a qualified engineer/tech who fully understands every nuance of your amps circuit ... and understands what OTHER components will need alteration to make the "new" tube function safely and properly. But, as far as tube swaps go, even if you get REAL dramatic with your changes, it's highly unlikely you will be rewarded with the change you desire. So very very many times I've had folks ask me to mod their 6L6 amps to use 6V6 tubes, or vice/versa, or even swap EL84's for EL34's or 6L6's for EL 34's, only to find that ultimately the amp doesn't actually SOUND that much different afterward. Yep, and these are EXTREME examples of trying to use tubes to re-voice an amp! As there are hundreds of my own Vaughn Skow brand tube amps out there, I often get an email from someone somewhere in the world wondering something like "what tubes can I swap for more ... or less ... gain", and so on. I generally tell them that any member of the 12--7 family will work in V2 (second and third gain stage pre-tone stack), V3 (two gain stages after tone stack), & V4 (phase-inverter) positions, however, the changes might well not be what they are looking for. I promised to not cascade down into techno babble, and so I'll resist writing the fifty paragraphs as to why! In overly simple terms, the entire CIRCUIT on a tube amp works as a unit, and changing tubes generally would require changing OTHER parts of the circuit ALSO to affect any real desirable change. There is one HUGE cavet here: and that is this: if a tube is actually BAD (or in the process of dying), then yes, by all means tube replacement will certainly breathe new life into the old gal! That brings us back to the story that started this epic blog. You see, the tubes in my Twin Reverb were perfectly fine, and as such, even though the Groove Tube ads in Guitar Player Magazine seemed to indicate otherwise ... fancy new tubes dejour were NOT going to make any real difference. This is physics, and the laws of physics VERY seldom change. Why did my Twin simply DEVOUR my bandmates exact same amp, both in terms of TONE and volume? One simple item, the speakers! Again, this was no isolated incident, I've certainly witnessed this behavior many hundreds of times since. Once the circuit of your amp (tube or solid-state) has done it's deal amplifying your guitars tiny little electrical signal into one HUGE enough to actually set billions of air molecules smashing violently into one-another ... well, it's the speakers job to actually do the pushing! The importance of this final stage where electrical energy is converted (transduced) into physical energy can no be over stated! Seriously it can't ... and that's why I'm saying it again. First let's talk VOLUME; my Twin was easily TWICE as loud as my high school band-mates. Sorry, but now I MUST take a very brief detour into techie land; our ears perceive a 10-decible increase in SPL (Sound Pressure Level ... or how hard air molecules are smashing against each-other) as TWICE as loud. Those stock silverface Twin speakers had about a 89-db SPL spec ... and the JBL D-120F speakers were about 101db. So yes, it actually was more than twice as loud! I so vividly remember poor Stacy figuring out that no matter how loud he turned his Twin up it could never produce as much volume as mine did with the master set to about 3! Speakers make a HUGE difference in volume, or at least they CAN. Now a quick word on TONE: Switching from, say a typical made in China 12ax7 to a super expensive long-plate NOS Telefunkin or RCA, for instance will produce only the mildest of tonal change. So little that nearly no one, if they were to be honest, could even tell a difference on a stage in an actual band setting. Again, with the caveat that the Chinese tube is WORKING properly ... there ARE often quality control issues with current production tubes! However, going from the stock made-in China SPEAKER that so many amps come with today to a quality American or European made speaker (WGS included, of course ... but others as well), now THAT is a change that will almost always completely re-voice an amp. Literally, you can turn your amp into a whole new beast! Why? Because the speaker is actually accomplishing something quite remarkable ... it is a TRANSDUCER. A quick page from my Audio 101 course here: A Transducer is a device that converts or changes one form of energy into another. Your very own human body comes equipped with many transducers. Most notable to THIS discussion would be your ears, which just like a microphone, turn acoustic sound pressure into an electrical signal. Your skin has billions of transducers that turn physical force into an electrical signal. Your eyes turn light into electricity, and the big-daddy of them all would be the amazing system that turns the thoughts in your head, which are electric signals, into acoustic sound pressure ... that system would of course consist of signaling nerves, your diaphragmatic, chest, and throat muscles, your lungs, your throat itself, your voice-box and vocal chords, and finally your mouth and lips. This is a VERY complex system that produces ... SOUND! Do all voices sound the same? Of course not. Even though science tells us that almost everyone's BRAIN is capable of the same level of singing ... the actual transducing system that produces that singing voice varies GREATLY from person to person. The results are, of course spectacularly varied. Folks, the speaker in your amp is the same device ... it IS you're amps voice. Just like your vocal tract, the speaker is what actually MAKES the sound. And that, folks, is EXACTLY why a speaker makes more difference in an amps tone than any other item. Nothing else even comes close. So TRUE!!! I was ready to throw my Marshall 40-watt Haze combo in the trash ... Reaper HP SAVED it.